It's a blast from the past: the upcoming Japanese DVD release of hi-sCool! 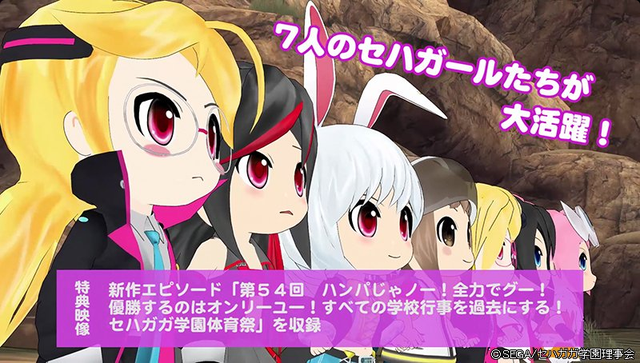 Seha Girls, a 2014 short form TV comedy that re-imagines classic Sega video game consoles as moe anime girls, will include a brand new episode as a bonus. The "Hi-sCoool! Seha Girls Complete DVD ~ 7 People All Together Flashing a Hi-Feeling V-Sign! With a 1bit Bonus Included ~" set features all 13 episodes of the hi-sCool! 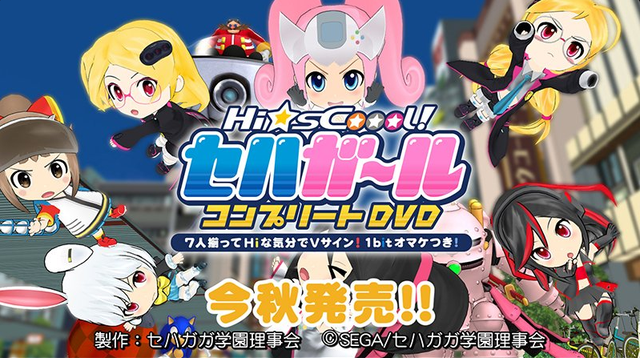 Seha Girls TV series, plus a bonus episode entitled "The Excessive 54th Annual! Go Give It All You've Got! Only You Can Be the Champion! Surpass All the School Events of the Past! Sehagaga Academy Sports Festival". 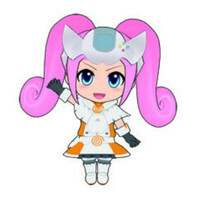 The new episode will include several Sega Hard Girls that were not prominently featured in the original series, including Sega Mark III, Master System, Robo Pitcher, and Mega Drive's little sister, Mega Drive 2. The "Hi-sCoool! Seha Girls Complete DVD ~ 7 People All Together Flashing a Hi-Feeling V-Sign! With a 1bit Bonus Included ~" set will be released in Japan on November 03, 2016. It retails for 5400 yen ($53.79 US) including tax. An English language Bluray / DVD release is also in the works from Discotek Media, although there is no news yet as to whether the new bonus episode will be included in this release.